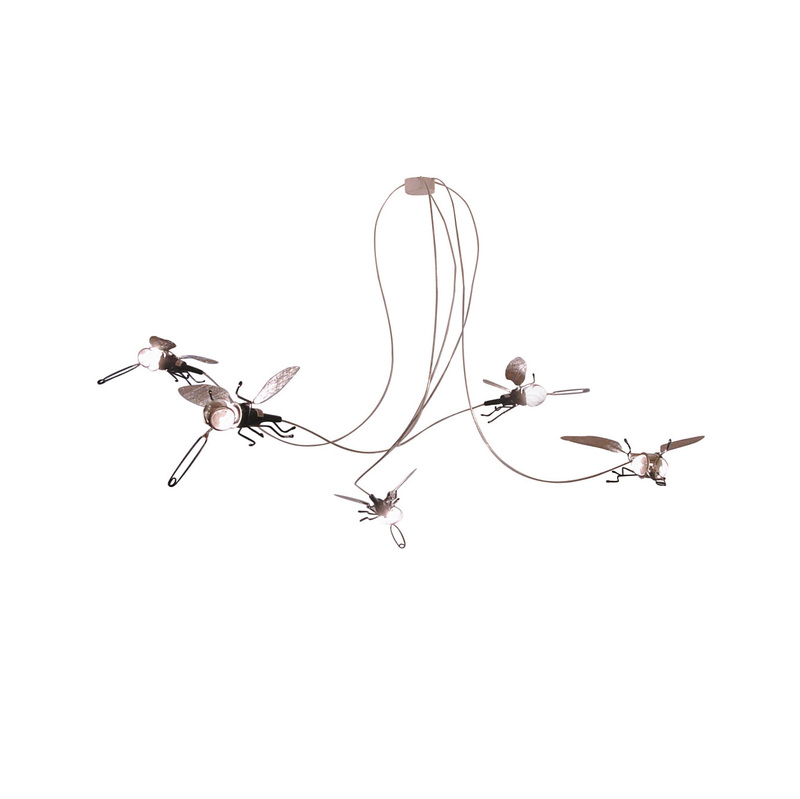 The Famille Filou ceiling light - just extraordinary! The ceiling light Famille Filou by Oligo is something very unusual: Not only the look of the ceiling light falls on innovative ideas, the materials used to make the Famille Filou to a very special light. The Fliegenkorpi provide the lamp with an exceptional character and increase overall a great highlight. A vari-angle strainer serves as the eyes and snout, the wings are made of heat-resistant textured fabric. Especially in conjunction with the other lamps in the Filou series of oligo (Mademoiselle Filou Filou Famille and ceiling) and you can create with this ceiling light a very special ambience.